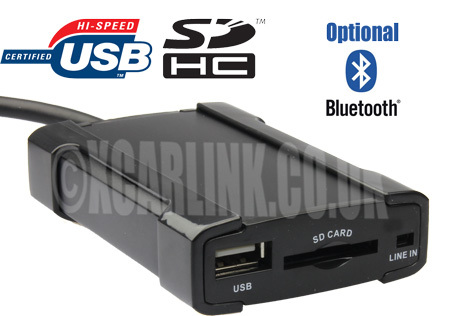 The Xcarlink USB/SD interface allows you to connect a USB flash drive, SD card or MP3/MP4 player to your Citroen RD4 factory car system without any loss of sound quality. This is an ideal option if you do not have an iPod. The interface connects to the CD changer port located on the back of your car stereo. On some cars, this can be reached from the passenger side whilst on others, you will need to remove the radio. 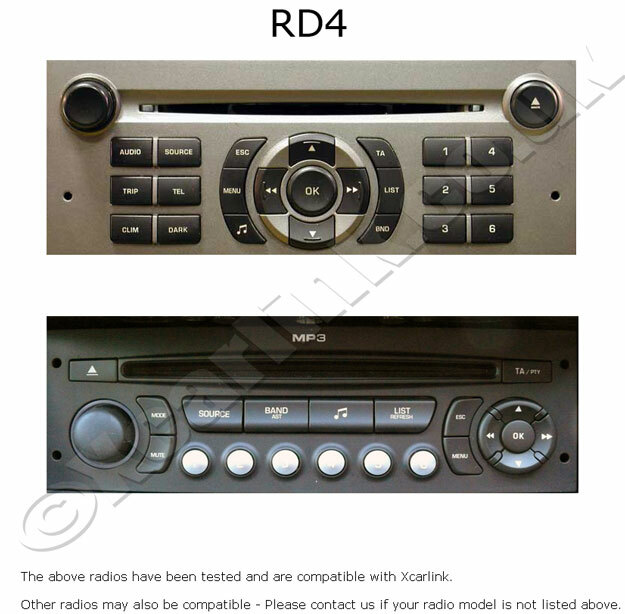 Instructions how to remove your radio to access the CD changer port can be found through many online resources, car manuals or by a local installer. Compatible with the RD4 radios in the Citroen C2, C3, C4, C5, C6, C8, DS3 and Berlingo. 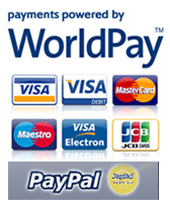 Please see the compatibility tab for further information. Bluetooth A2DP Module - Xcarlink now features a connection for an optional Bluetooth Module. This enables it to be used as a hands free car kit system. Simply pair it with any Bluetooth enabled mobile phone and it will allow you to make or receive calls through your car stereo speakers. Also features a microphone for added convenience and optimum sound quality. Music playing from the interface will automatically pause when a call is made or received, then resume once the call has ended. In addition, the Bluetooth module allows you to wirelessly stream music from your Bluetooth enabled device to your car stereo.